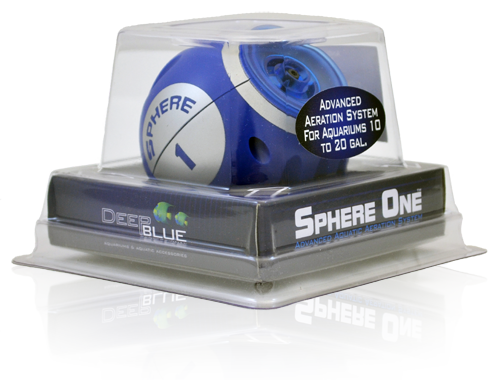 Deep Blue Professional Sphere One Air Pump Sphere Air Pumps deliver unparalleled performance with a unique new style. Their spherical shape and internal blue LED light offer a whole new look in air pumps, while the soft rubber base reduces vibration and the angled output port prevents airline kinks. 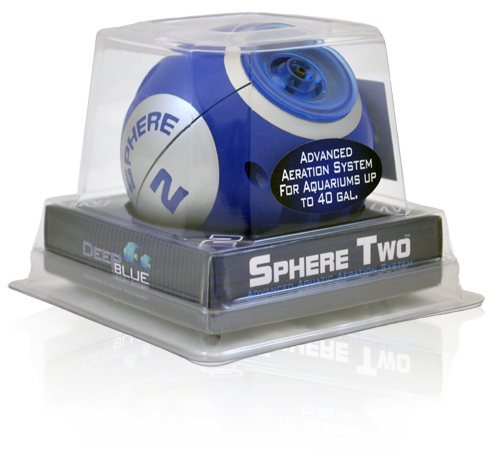 Deep Blue Professional Sphere Two Air Pump Sphere Air Pumps deliver unparalleled performance with a unique new style. Their spherical shape and internal blue LED light offer a whole new look in air pumps, while the soft rubber base reduces vibration and the angled output port prevents airline kinks. 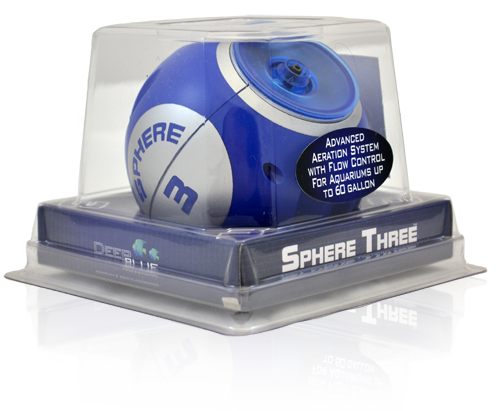 Deep Blue Professional Sphere Three Air Pump Sphere Air Pumps deliver unparalleled performance with a unique new style. Their spherical shape and internal blue LED light offer a whole new look in air pumps, while the soft rubber base reduces vibration and the angled output port prevents airline kinks. 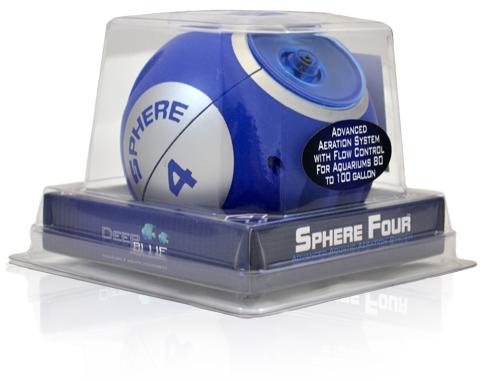 Deep Blue Professional Sphere Four Air Pump Sphere Air Pumps deliver unparalleled performance with a unique new style. Their spherical shape and internal blue LED light offer a whole new look in air pumps, while the soft rubber base reduces vibration and the angled output port prevents airline kinks. 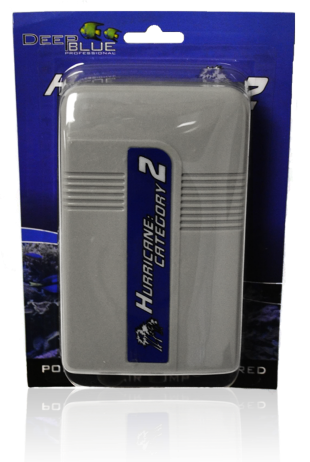 Deep Blue Professional Hurricane: Category 2 Portable, Battery driven air pump. 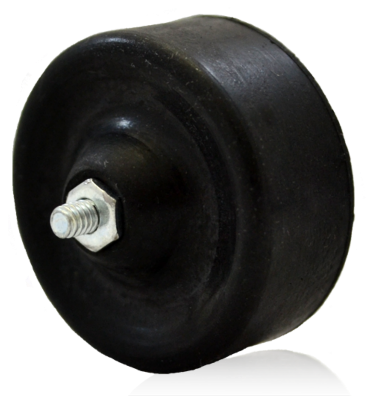 Water resistent design, includes rubber seal for both battery compartment and power switch silent operation, reliable & powerful performance uses (2) "D" cell batteries recommended as a back-up unit during power loss, so when the power dies, your livestock won't. contents: one air pump, airline tubing, air stone. 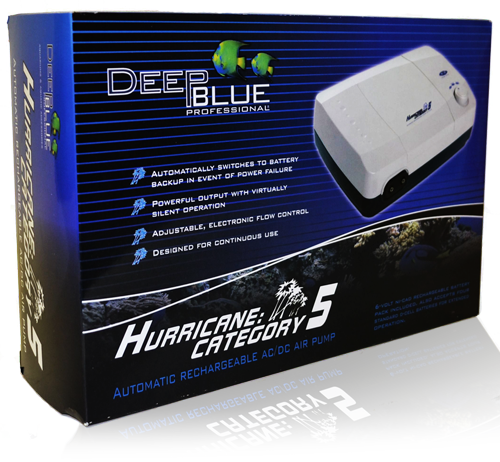 Deep Blue Professional Hurricane: Category 5 Automatic rechargable AC/DC air pump Features include: Automatically switches to battery backup in event of power failure & recharges when power is restored. Integrated d-cell battery slots for use when main battery pack is exhausted. Adjustable, electronic flow control with interval battery extension technology. Two output modes: full mode pumps continuously for 14 hours on full battery & interval mode runs one minute on, one minute off extending battery operation up to 28 hours (approx). 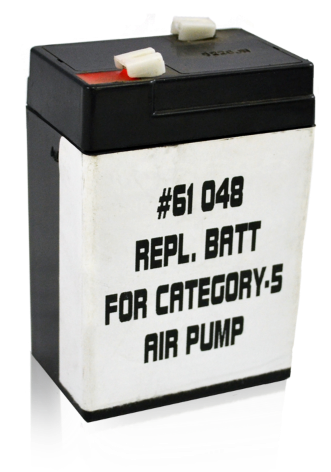 Removeable, 6 volt nickel cadmium battery pack included. Designed with dual output ports & impact resistant housing. INPUT PWR: 110V 120V @ 60HZ. PWR USAGE: 12W @ 36 INCHES. OUTPUT: 65 GPH. PORT SIZE: 2 - 3/16┬¥. BATTERY: 6V NI-CAD OR (4) D-CELL. PROTECTION: OVERLOAD & DEEP. CYCLE DISCHARGING.